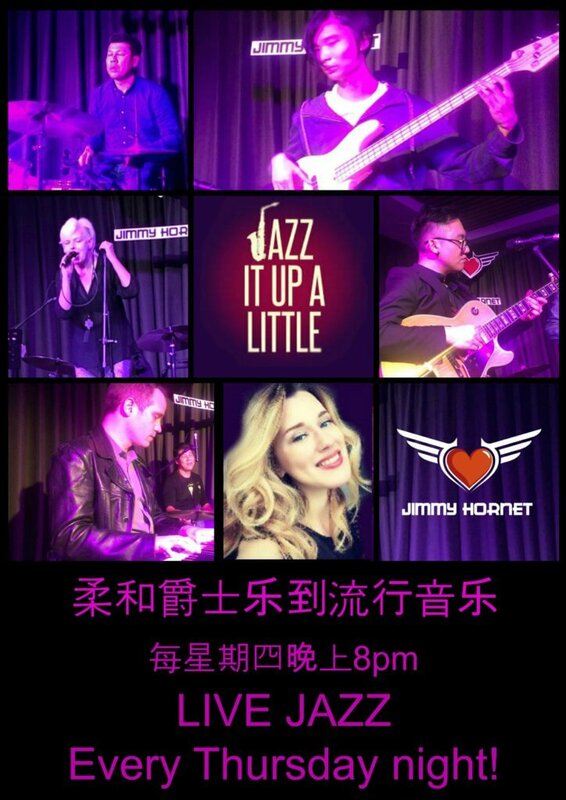 From August 2017 to September 2018, Jimmy’s Jazz Band played Live Jazz every Thursday night at Jimmy Hornet, Zhongshan. 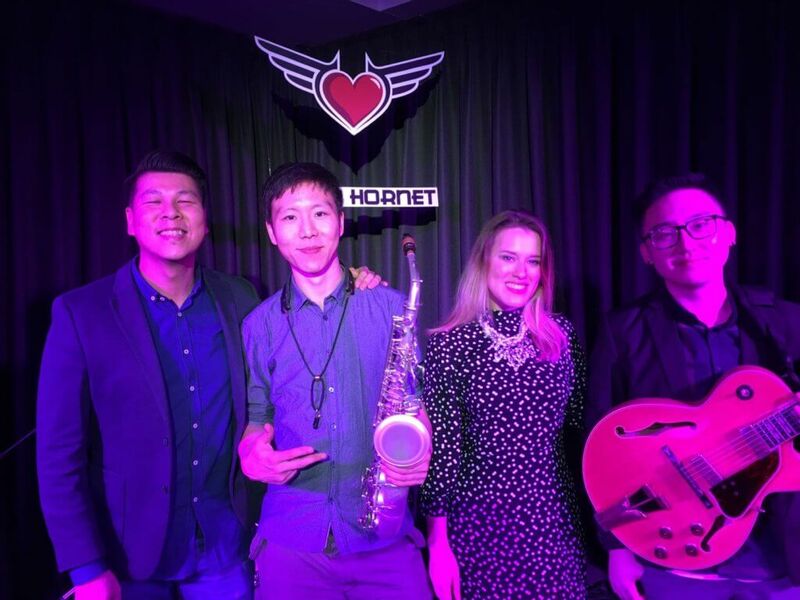 The core band consisted of Kenny Du (guitar), Wilson Chan (drums) and Anna Devina (vocals). 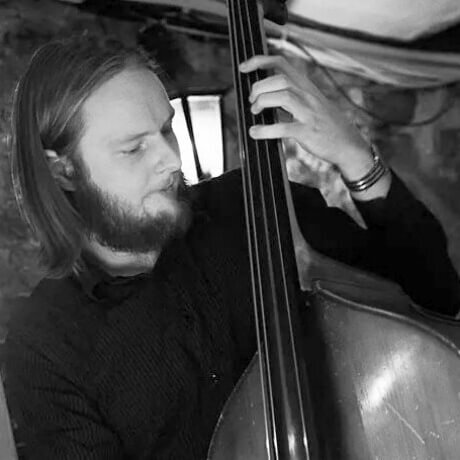 We were blessed to have guest players every week, on instruments including bass, saxophone, keyboard, and even flute. 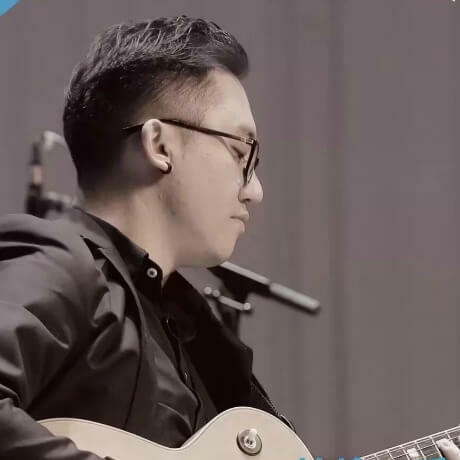 Wilson Chan (Zhongshan, China) is the ultimate Live Music Crusader. 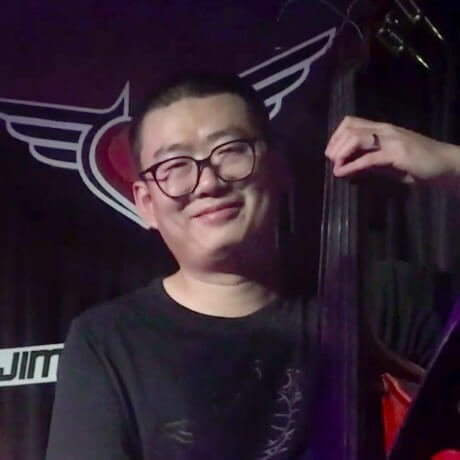 He plays, co-ordinates, introduces and networks amongst the Musicians and Venues throughout Guangdong Province. 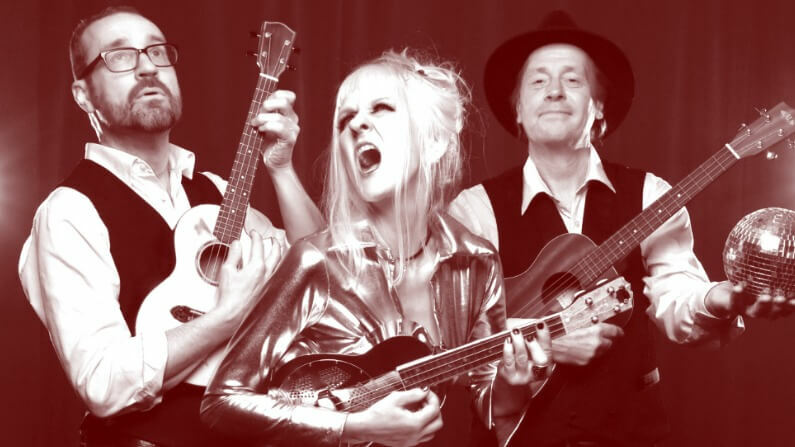 If you want to know anything about the local music scene…..Wilson is your man! 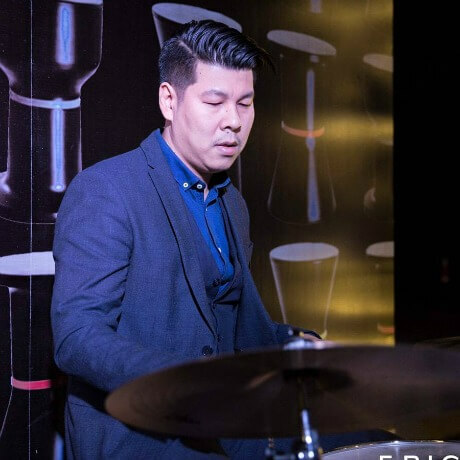 A seasoned drummer in various genres, Wilson is also Founder and Teacher at “Chicken Rhythm,” a music school based in Zhongshan. 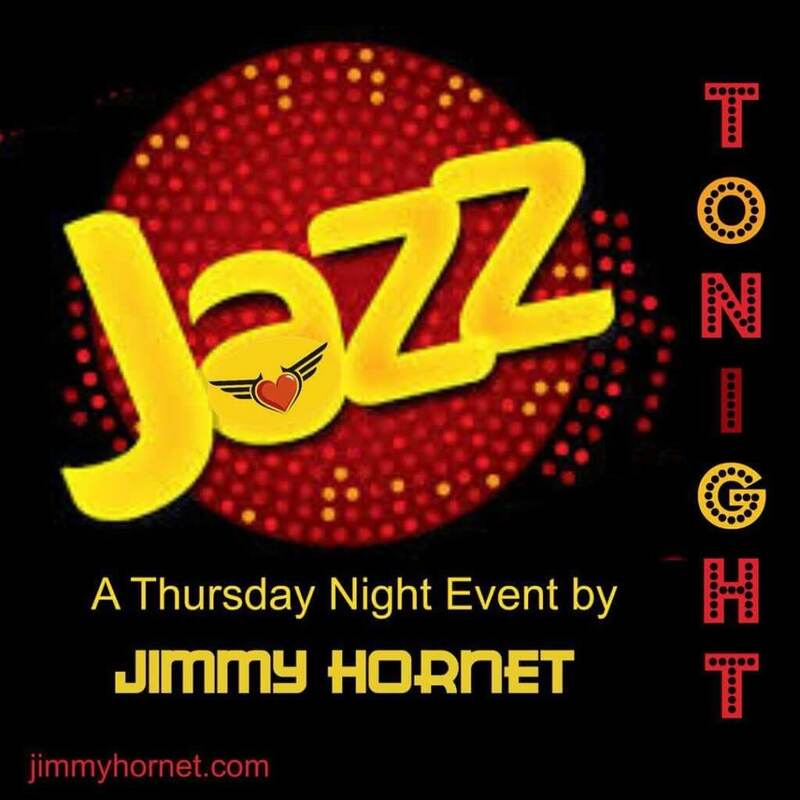 It was Wilson’s idea to put a House Jazz band together for Jimmy Hornet, and from week to week he co-ordinated the play. 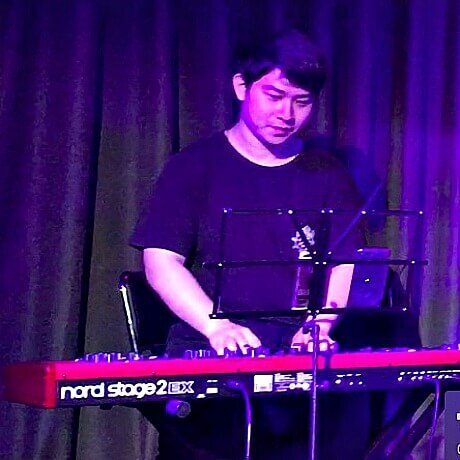 Born in Zhuhai, China, Kenny Du studied piano and guitar in Japan under Jazz Master Masaru, the son of Masaru Imada. 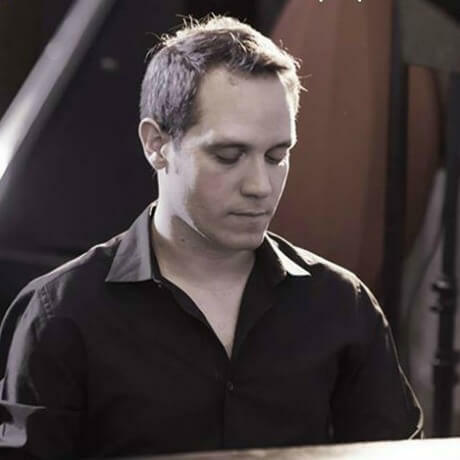 Kenny is now a teacher and currently with Golden Jazz Contemporary Music Institute in Zhuhai. 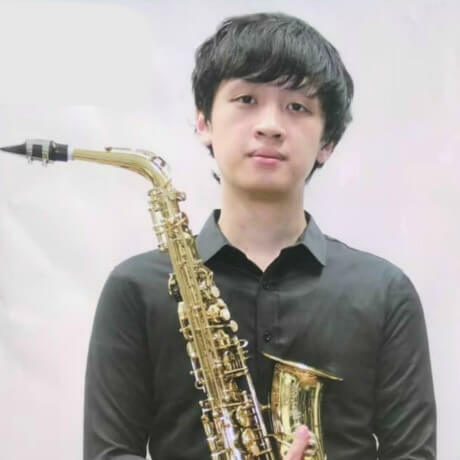 Kenny has performed with many great musicians including Jazz pianist Stefan Karlsson, Vanacore, Nathanial Gao, and Li Xiaochuan – China’s most recognized trumpet player and composer, just to name a few. 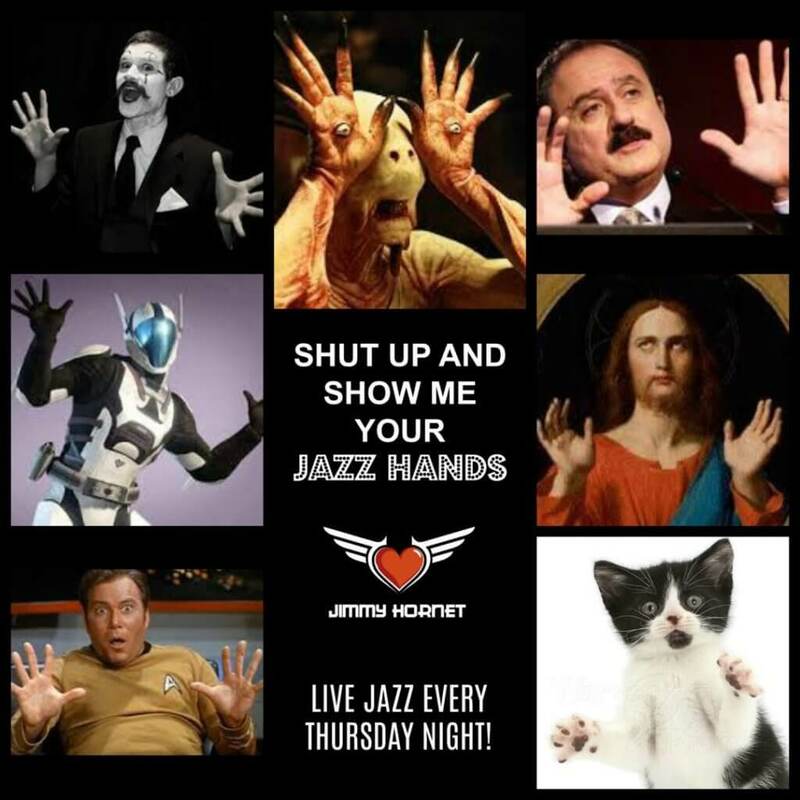 We were very privileged to have Kenny Du perform on the Jimmy Hornet stage in our very own House Jazz Band. 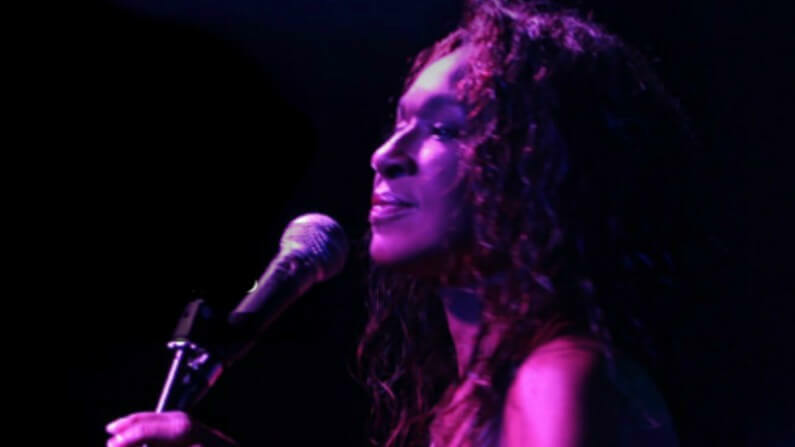 Anna Devina is a singer with experience in different music styles such as pop, blues, and jazz. She was born in Russia to a musical family. 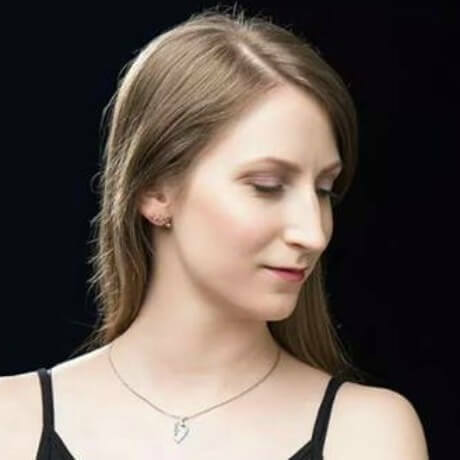 At the age of 5, she started studying classical violin at Ural Music College. When she was 15 Anna started singing and participating in many singing competitions around Yekaterinburg. 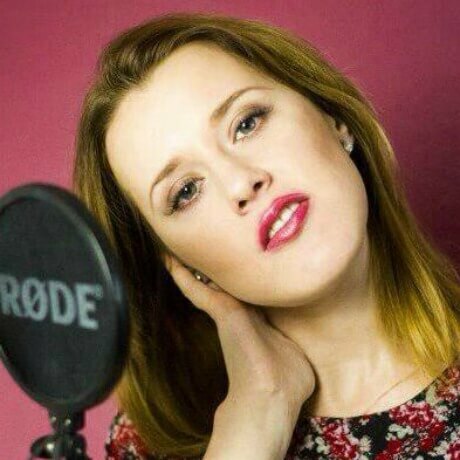 Anna went on to study jazz and pop vocal in Sverdlovsk State Tchaikovsky Music College, Yekaterinburg. During that time she won vocal contests in Russia and Europe. Anna then continued her study in Moscow and enrolled in the Institute of Modern Art (Vocal major). 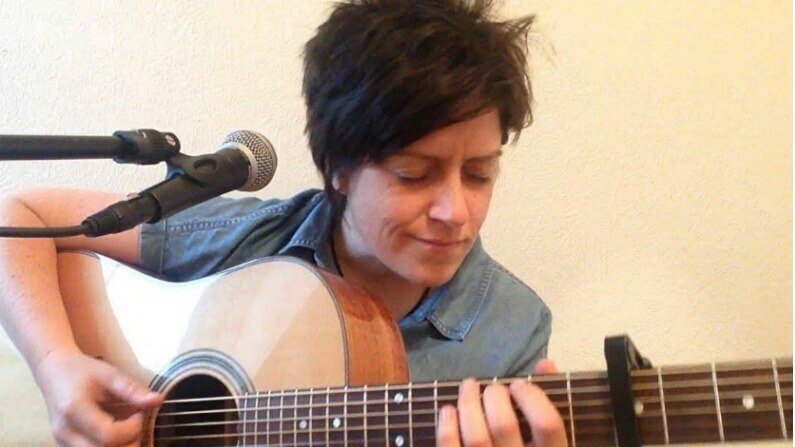 Anna now lives in Zhongshan, China and works as a vocalist for the band “Palms in the Rain.” She is also cooperating with many musicians in Guangdong Province.